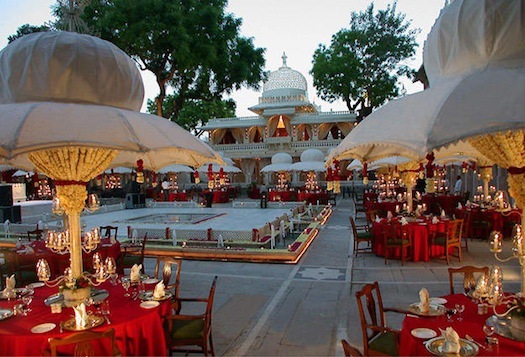 Royalty and a destination wedding in Udaipur go hand in hand. Many celebrities have got wed here. What makes this place a favourite among many is not just its rich culture but also the giant palace like buildings which scream uniqueness! The palaces here give a contemporary feel along with showing a modern edginess. 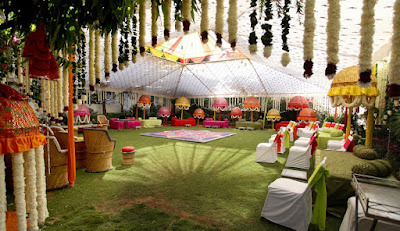 Some of the biggest Indian fat weddings have been held here and been a huge success. If Udaipur is your chosen destination, you might look to do bookings for yourself and your family members at a low cost to make savings. You will also get the advantage of cash back! 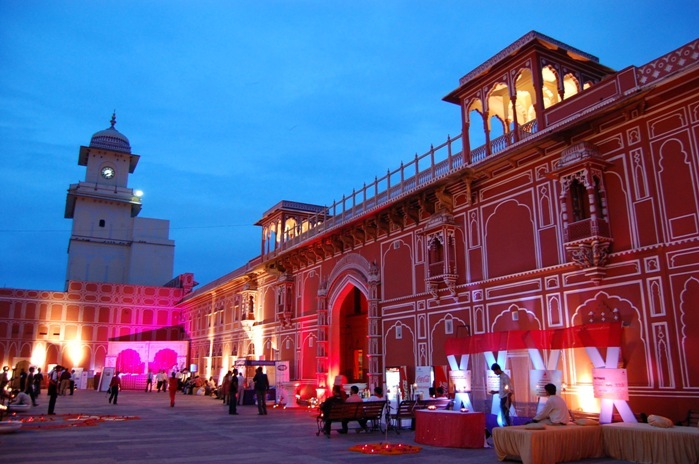 The pink city of India hardly needs any introduction when it comes to the places in India for a destination wedding. Known for its rich heritage and spectacular beauty, it is a very vibrant place to hold a wedding full on “hungama!” Expect your wedding to hold a lot of solid colors, cultural dance, and mouth-watering dishes showered with extravagance. 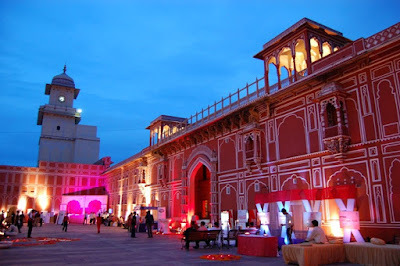 Samode palace and Gold palace have been the choices of famous celebs for their wedding. Maybe you don’t have a big budget to throw a lavish wedding but getting wed in the bustling city is also not on your cards. This is when Shimla comes to your rescue! The lush greenery, cool air, serene landscapes and colonial houses resting in silence will make an awesome venue for doing a destination wedding on budget. Customizing the wedding can be a scale up or low. Destination wedding also means the added expenses of taking relatives along. Cut down those expenses to a large amount. If a beach wedding is on your mind, what better place to exchange the vows on God’s own country! 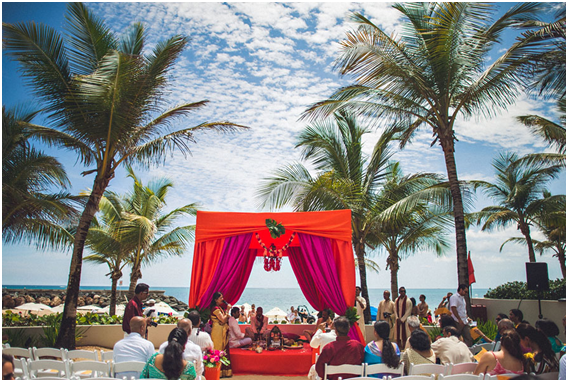 Have a romantic and blissful wedding by the beach side in Kovalam or book a beautiful resort for more privacy. Take help only from the top hotels there to handle all the arrangements for you lest you have to deal with an unpleasant situation at the last moment.You can even have an elephant theme wedding where the groom arrives to the venue seated on an elephant. So maybe you are bound by some limitations and can’t afford to have a destination wedding outside your city i.e. Delhi. How about having it just a few kilometers away from Delhi at a place which looks stunning and holds a breath-taking view at its backdrop. Neemrana fort which is located in Gurgaon is a popular choice for Delhities to escape the maddening city rush and have short weekend gateaways there. 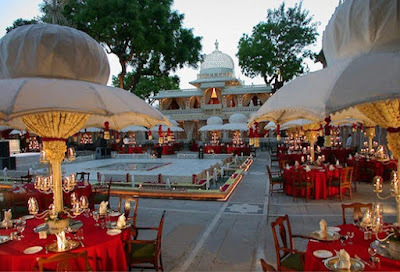 But it is also a place where luxurious weddings have taken place. It is marked with many moments from history and now it’s time for you to mark your memories there. 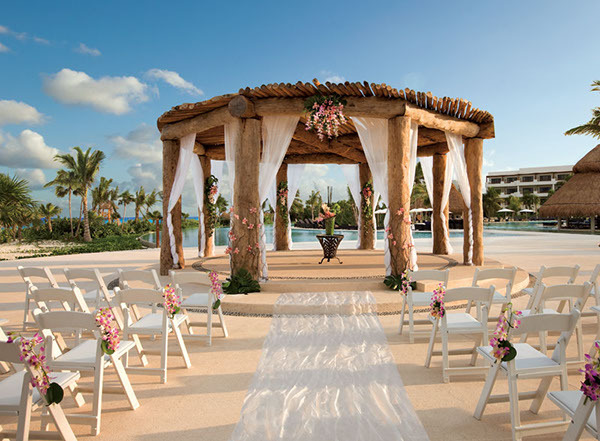 Hope this list helps you make up your mind for selecting a place for your wedding. All the best with it! 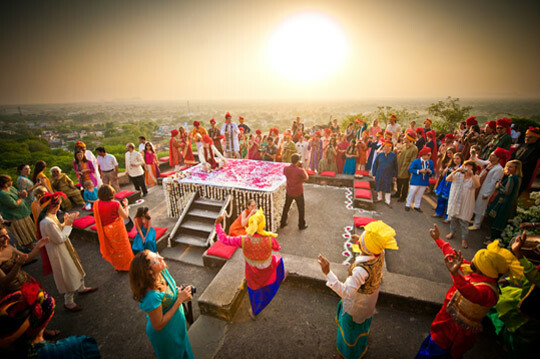 Grand locales to fit a Big Fat Indian Wedding!